A family holiday to Exmouth promised plenty of opportunities for scenic and interesting inter-station walks. Sadly, the weather gods had other ideas and most of my planned adventures will have to wait for another time. We did manage to dodge the rain a few times however. Our first trip was to Teignmouth – to visit a vintage shop (Hello Retro) and a record shop (Scene & Heard). 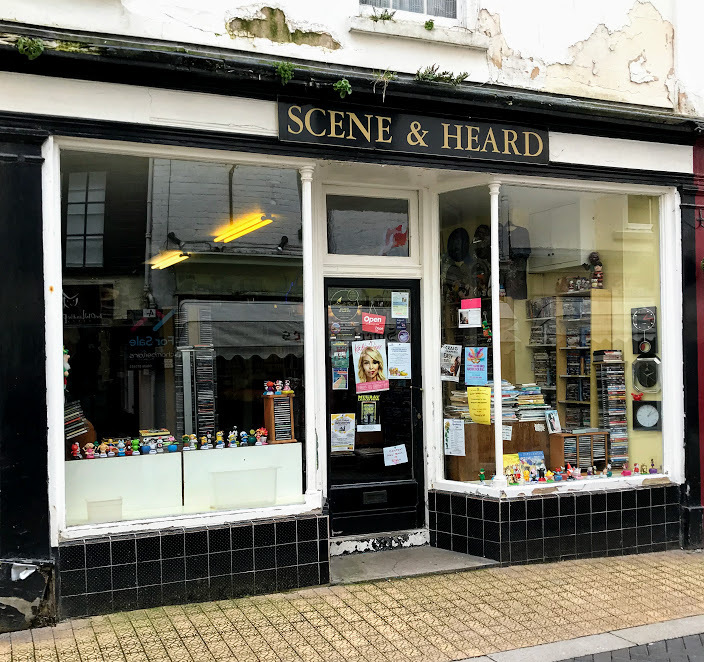 The record shop was worth a visit, though I didn’t buy anything and I’m not sure there would have been anything there to buy no matter how hard I looked. 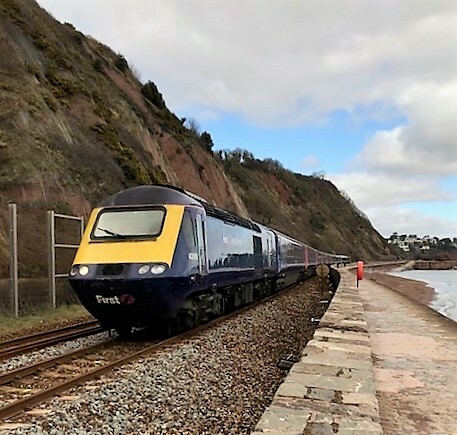 The intention was to walk from Teignmouth along the coast path around to Dawlish and catch the train back from there. Unfortunately, the sea wall had recently been damaged at Sprey Point and it was not possible to complete the route. Nevertheless, even the part we did fulfilled a lifelong ambition to walk along this part of the coastal path. I have whizzed past in the train more times than I can count. 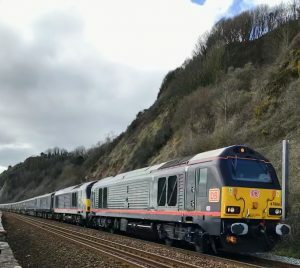 It was every bit as good as I imagined – the trains are frequent, the drivers always wave and toot at the kids, it’s just brilliant. And we had a special bonus. We happened to be walking along the line as the Royal Train passed, taking the Queen back from Plymouth where she was attending the decommissioning of HMS Ocean. Now I’m not much of a fan of the Royal Family, but this was still an impressive sight. My son was particularly excited for some reason. And yes, the driver of the royal train also waved and tooted. The next excursion took us from Exmouth to Exton. 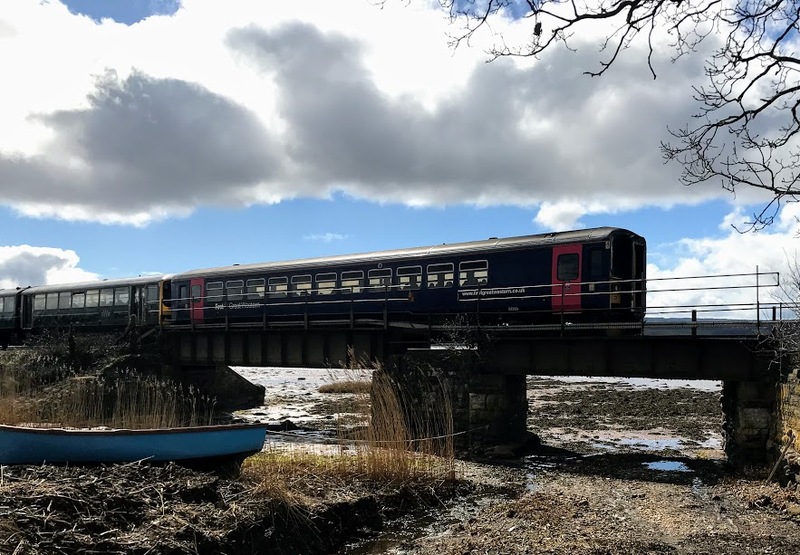 We walked back along the Exe Estuary Trail to Lympstone Village to catch the train back to Exmouth. This was a short walk, but we were dodging heavy showers so it was long enough! Exton is a tiny but very picturesque station perched right on the edge of the Exe estuary. It is theoretically a request stop, but every train we went on stopped there regardless of whether anyone was getting on or off. 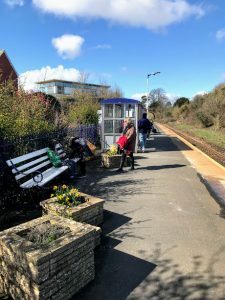 It is the least used of the Avocet Line stations, averaging about 70 people a day in 2016/17. The walk back to Lympstone is along a very well maintained cycle path, so was flat and easy. It takes you past the Royal Marines Training Centre, which has its own station (opened in 1976) which is only for use by people with business at the base. The gate was open, but I was too much of a wuss to actually go onto the station! 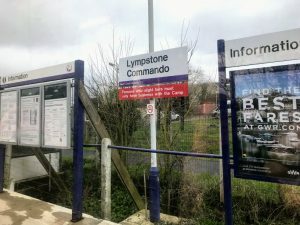 I did snap a picture of the sign (to add to my collection) from the train. 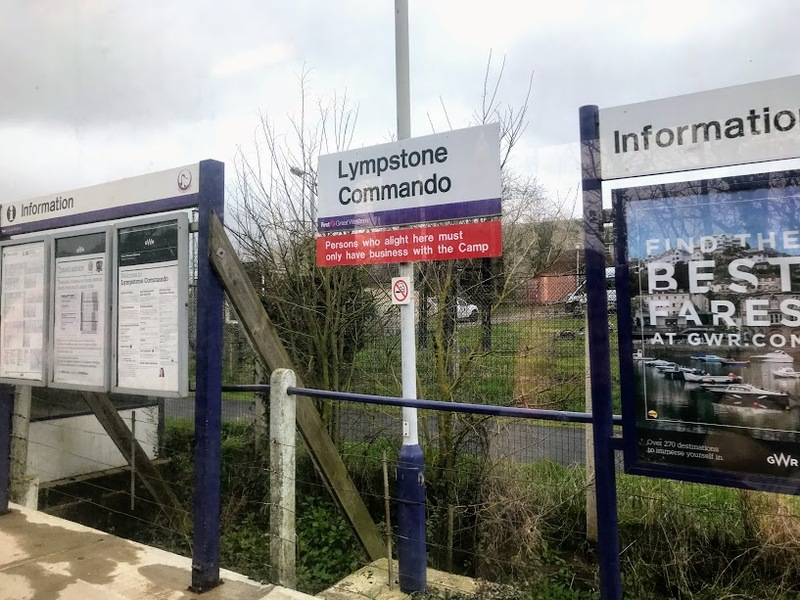 Lympstone Village station is another small one platform station, as you would of course expect. There is the remant of a second platform very overgrown, but this must have been disused for a very long time. The photo on the Cornwall Railway Society website  from 1974 show it was already disused then. Just down the hill is a very nice pub, The Swan Inn, which was busy when we visited. Always a good sign. I didn’t manage to do most of the walks I planned, so I have plenty of incentive to visit this amazing part of the world again (my kids also want to revisit the swimming pool at Devon Cliffs) so I am sure I’ll be back!